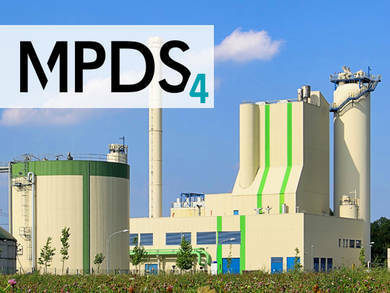 At UK AD & Biogas 2012 (4-5 July, NEC) CAD Schroer will demonstrate how MPDS4 reduces plant and factory design project timescales. There is a 70% renewable energy project discount on the software. For food sector Owner Operators and biogas plant providers gathering at UK AD & Biogas, stand P63 may evoke particular interest: CAD Schroer will be showcasing its factory layout and 3D plant design software for faster project delivery at lower cost. 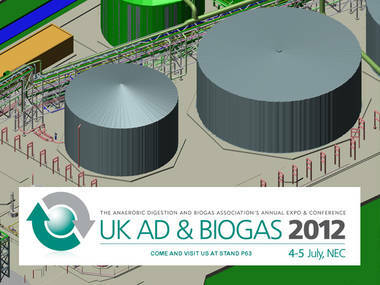 UK AD & Biogas 2012 is the only trade show in the UK dedicated exclusively to anaerobic digestion and biogas. It includes over 200 exhibitors, a comprehensive conference, free seminars and professional clinics. Showcasing why AD is the missing link to achieving maximum waste and resource management, climate-smart farming and sustainable food production, the event will show how beneficial the integration of AD can be, and how it can be most successfully achieved. 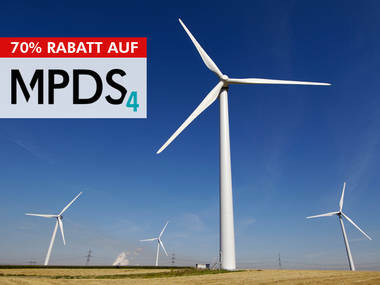 CAD Schroer’s team will be on hand to demonstrate its MPDS4 PLANT DESIGN and factory layout software, which allows process engineers in areas like sustainable energy to progress projects quickly and cost-effectively by creating fast concept designs, project cost estimates and detailed 3D plant and factory layouts. Visitors will be able to find out more about the powerful engineering suite’s role in design process integration, optimisation and automation.